The Wabash Center awards grants only for projects focused explicitly on issues related to teaching and learning theology and religion in higher education. We receive many inquiries about worthy projects that we simply cannot fund because they fall outside the parameters of our grants program. Therefore, we have compiled this list of other possible funding sources for higher education and related projects. There are far too many funding agencies for us to provide anything close to a comprehensive list — especially given the wide variety of possible topic areas. So our list begins by listing other lists of funding agencies. The resources listed here focus on granting agencies that seem particularly applicable to likely Wabash Center web site visitors. But the world of granting institutions is vast and constantly shifting. Large segments of the granting world are missing from our very partial list, including: grants focused on ethnicity, race, or religious affiliation, most grants for area studies and most international grants (the list is oriented toward scholars in North America). And we have not included grants that focus on community activism or language acquisition. Other Agencies with Funding from Lilly Endowment, Inc. The following foundations give large sums of money for projects. Most often these grants go to an institution, but occasionally to an individual (or, if you are thinking of a big project, you may be able to “piggyback” with an institution). There are many of these, but the following are specifically interested in issues of religion. The Lilly Endowment does not generally make grants to individuals. Most of the grants made by the Lilly Endowment are in response to a Call for Proposals. 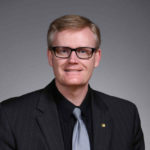 Institutions such as The Wabash Center and the Louisville Institute are established by the Lilly Endowment as “re-granting institutions” to distribute Lilly funds. 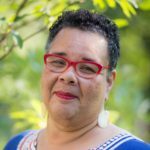 The broad goals of the Ford Foundation are to build knowledge and strengthen organizations and networks through Asset Building and Community Development, Peace and Social Justice Knowledge, and Creativity and Freedom. The Luce Foundation’s Theology program encourages the development of leadership for religious communities through theological education, and fosters scholarship that links the academy to churches and the wider public. The program provides funding for seminary education, leadership, ecumenical and inter-religious programs, and religion and the arts. The Henry Luce III Fellows in Theology program, administered by the Association of Theological Schools, supports innovative research and publication by full-time seminary faculty. Big money for big projects addressing the Big Questions of human purpose and ultimate reality. Support for dialogue among scientists, philosophers, and theologians, and between such experts and the public at large. Makes large grants for large projects to institutions, not to individuals. These grants are designed to enable faculty to take one or more semesters leave from their institution in order to dedicate that time to research. Some of these grants must be used to extend a sabbatical leave funded by your home institution. Others have requirements as to when your last funded leave was. Many can be combined with other grants. Some can not. Many are unrestricted. These grants do not require residency at a specific location. 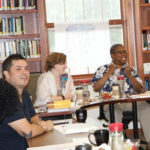 The Henry Luce III Fellows in Theology program is for projects connected with theology. You must be working at an ATS accredited institution. Seeks to renew and enhance the connections between Christianity and the academic vocation at church-related colleges and universities. FTE has scholarship funds for prospective seminary students and various recruitment seminary initiatives for congregations. Designed for pre-tenure faculty working on their second project. Provides two semesters leave that can be distributed over three years as well as some travel money and the possibility of an additional summer stipend. Salary replacement for female faculty. Despite the title, these grants are not just for philosophy but all fields in the humanities. Funding is to extend a one semester leave to a full year. Salary replacement for six months or one year. This fellowship cycles through different fields every year so only in certain years will it be applicable. It requires that you be nominated by your home institution. Salary replacement for six or nine months. Note: The deadline is very unusual. It is May 1 for a notification date of December for projects that begin the following winter, spring, or fall. This means that most of us will be applying to this grant several months before the other salary replacement grants that normally have an early fall deadline. But it also means that if you have a fall leave coming up you can apply for it twice, that is apply 15 months ahead of your leave and again three months ahead if your institution would allow you to extend your leave on minimal notice. Note that on request the NEH will send you reader reports. This is one of the only opportunities to receive feedback on your proposal and is well worth the application process regardless of whether or not you receive the grant. This is a selection of grants providing less than $10,000 that are designed for short term projects, or for a discrete section of a larger project, or to reimburse travel/research expenses. Funds expenses (and possibly short term salary replacement) for specific research project. Given for eight weeks to be dedicated to bringing a specific publication to completion. Small grants given for faculty in any field to cover research expenses such as travel, microfilm, and field work. Pays for faculty to travel to an area not normally associated with their expertise in order to expand their horizons and improve their teaching. Contact: Marion and Jasper Whiting Foundation, Suite 1025, 50 Congress St, Boston, MA 02109. Gives awards for short-term research projects. Note that you will need institutional nomination. Note that on request the NEH will send you reader reports this is one of the only opportunities to receive feedback on your proposal and is well worth the application process regardless of whether or not you receive the grant. This is a small selection of the many grants that are available if you are able to reside in a specific locale in order to receive funding. This includes grants to facilitate participation at a humanities institute for a semester or year, research at specific libraries for a period of weeks or months, or residence abroad for the period of the grant. Some of these grants are designed for salary replacement in order to give or extend a research leave, others simply reimburse travel expenses, some do both. Provides a list of residency programs. Allows recently tenured faculty to work at their choice of a dozen different humanities institutes in the US and abroad. One year fellowship to be spent at Harvard. Cambridge, MA. Palo Alto, California. Requires you to share four meals a week with other fellows. Projects in any field but need to claim contemporary policy significance. Residency required in Washington, DC. Harvard Divinity School offers five residency fellowships every year for projects involving gender and religion. Stipend for research in the American Philosophical Society Library in Philadelphia. To fund one month’s research in Harvard’s special collections library. Stipend for research in the Huntington Library in southern California. Stipend for research in the Library of Congress, Washington, DC. A big stipend for year long project in New York City. Stipend for research in the Newberry Library in Chicago. Stipend for research at Princeton, NJ. Field specific to antiquity, middle ages, and Italian history. Must have completed Ph.D. in the last seven years. There are almost 1,000 Fulbright Fellowships given to scholars each year. There are many different fellowships so spend some time going through the web site to see what’s best for you. Over 500 fellowships a year to do research in Germany. The only catch is you can not be over forty years old. One month stay at Lake Como, Italy, to give you a “nice” environment to do some writing. Thanks to Michael Penn (Mount Holyoke College) who first compiled this list in 2006. We have added to it and modified it since then. Any omissions or mistakes are entirely our own.